Hubert von Goisern (born Hubert Achleitner, 17 November 1952) is an Austrian singer-songwriter and world musician. With his mix of rock music and elements of traditional Volksmusik he has become a prominent exponent of the so-called New Volksmusik and Alpine Rock in Austria, Switzerland and Germany. 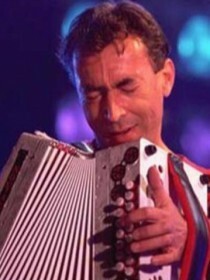 His stage name von Goisern refers to his home town. 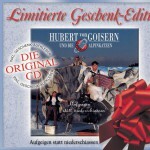 Hubert von Goisern has won numerous record certifications and several national and international awards.